Douglas Adams’ awesome “Dirk Gently’s Holistic Detective Agency”. After the Hitchhiker’s Guide to the Galaxy, the irrepressible Douglas Adams went on to create Dirk Gently, a private detective whose investigations are driven by his unshakeable belief in the fundamental interconnectedness of all things. In this adventure he is on the track of a gruesome murderer – and a missing cat. This is all tangled up with the mysterious studies of the Cambridge Professor of Chronology, the works of the romantic poet Samuel Taylor Coleridge – and quantum physics. What starts with a single, but undeniably nasty, murder morphs into a case of stupendous complexity with no less at stake than the survival of life on earth. Sally-Anne helms a top-notch KLP cast with great comedy credentials led by Sean Lovell (a Noda award winning actor) as the interconnected Dirk. 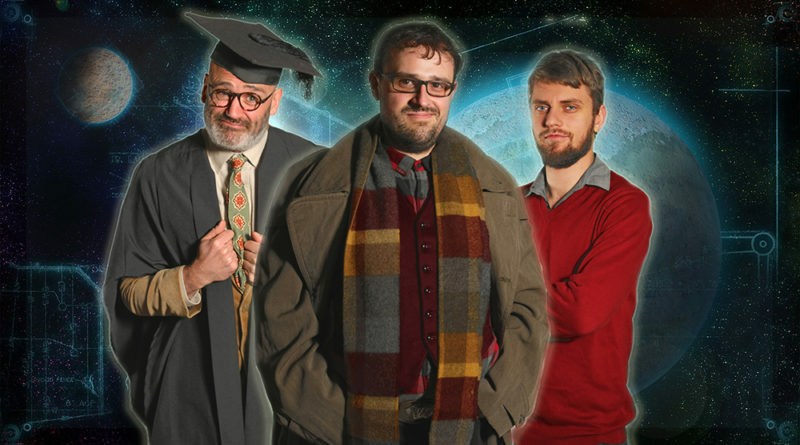 In strong support are Jon Musker as Reg, a prodigiously kindly and rather odd professor; Jamie Yates (fresh from taking the lead in KLP’s spring production Who is Theo?) as Dirk’s permanently bewildered roommate from their college days; John Bradnum (who made a starry debut as a director with Who Is Theo?) as a technocrat and victim of crime; and the perpetually amusing Gary Edgar as a ploddish policeman also on the track of the murderer. Dirk Gently’s Holistic Detective Agency is on stage at the Community Centre, The Nap, Kings Langley. Tickets £13 and £11 (Tickets cost £1 more on the door.) 16th-18th May 2019.